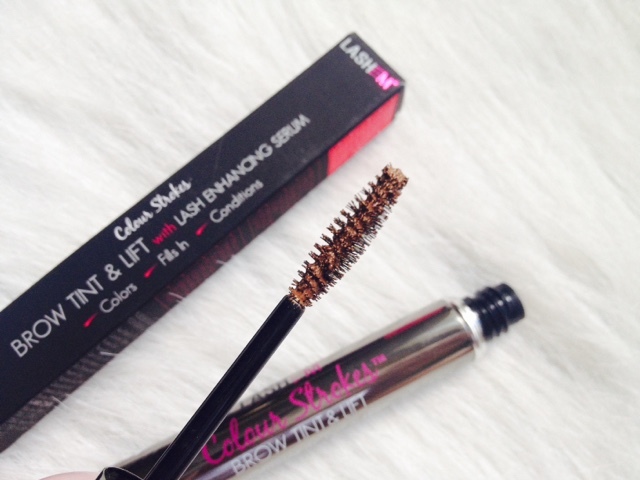 Lash Em Colour Strokes Brow Tint & Lift* | Vanity and Everything in Between. The shade I have is Brunette which is perfect for my hair color and skin tone. It's darker than a usual burnt brow mascara which I like because the strands of my hair are really thin. First thing I noticed about this product though is the mascara wand! It has this mechanism that once you pull it out from the tube, there is no excess products on the wand. See how clean the wand is. No product wasted! 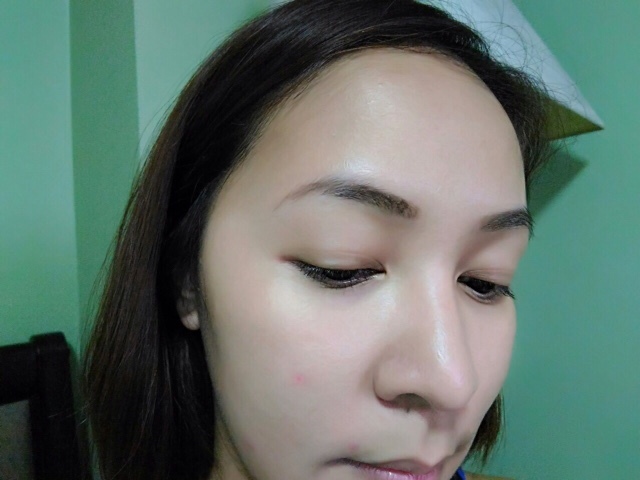 The consistency of the brow product is quite think but is not sticky. 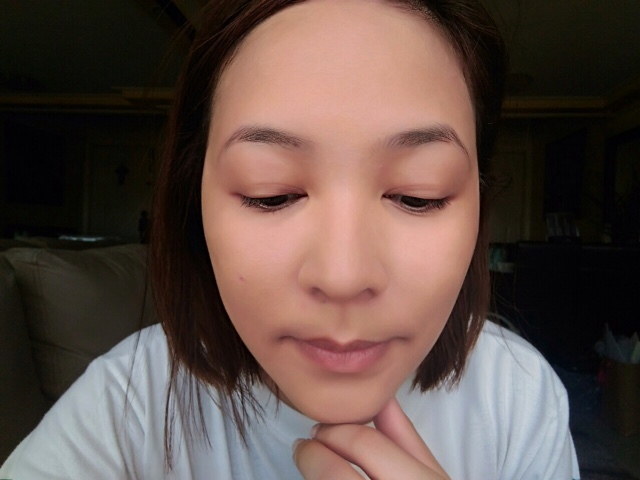 After 4 weeks of using Lash Em's Brown Tint, I can see that my brows got thicker. 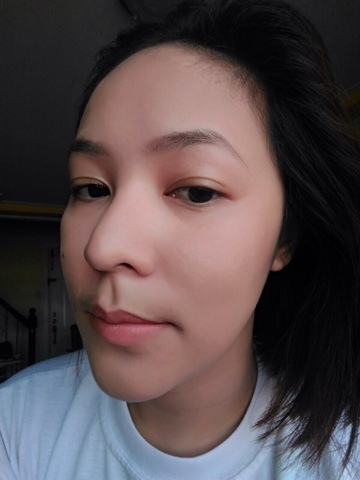 I accidentally deleted a photo of my bare brows before using Lash Em Brow Tint but the photo below was taken at 7am in the morning when I woke up. Now brow makeup whatsoev. 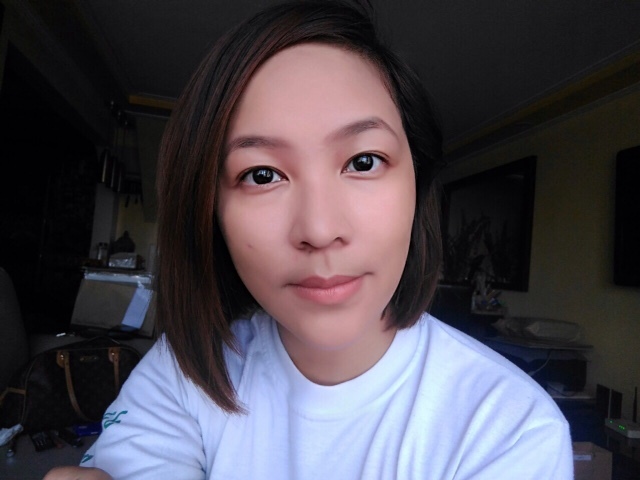 What used to be a dull looking eyebrows turned out to be a darker and thicker brows. I also have a "bald spot" on the arch of my brows. Almost no hair grows on that part and I used to always fake full brows with powder and pencil by filling that "bald spot". But ever since I used Lash Em, the hairs near the bald spot on the arch start growing beautifully and should I say correctly as well! It used to be all over the place. But now, the hair grows with my shaped brows. And since the strands got thicker, the bald spot is no longer that obvious. *I've always known about the bald spot of my brows but I thought it was because of how I plucked it but my go-to Brow Salon confirmed it is a bald spot LOL. 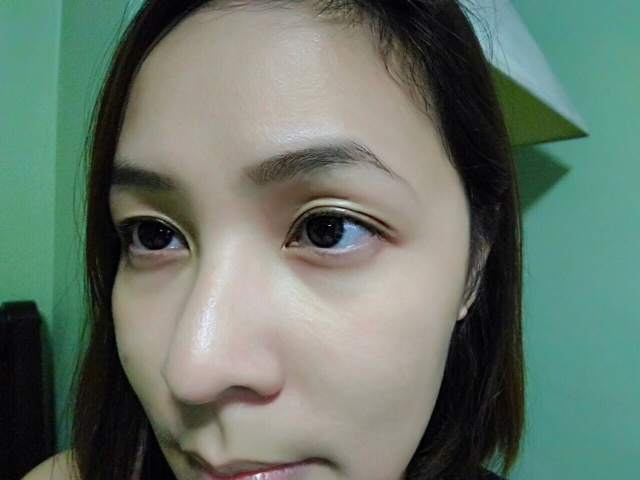 Usually, I apply brow mascara after filling in my brows with powder or pencil. 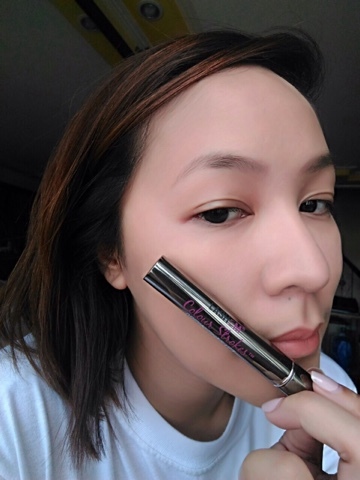 But with Lash Em Brow tint, I use it alone and it can fill my brows just fine. After 15 hours of wear, here's how it looks like. There was minimal fading. I was expecting this because as I've said, I have bald spot on the arch area and brow hair on that part is shorter. In short, wala masyadong kakapitan! But if you look at my brow in general, they look pretty thick and dark. Here's my left brow. Minimal fading but overall, the brow color is still intact. Not so bad, right? If you look at my brows at face value, they looked completely filled in. Now, for the price. 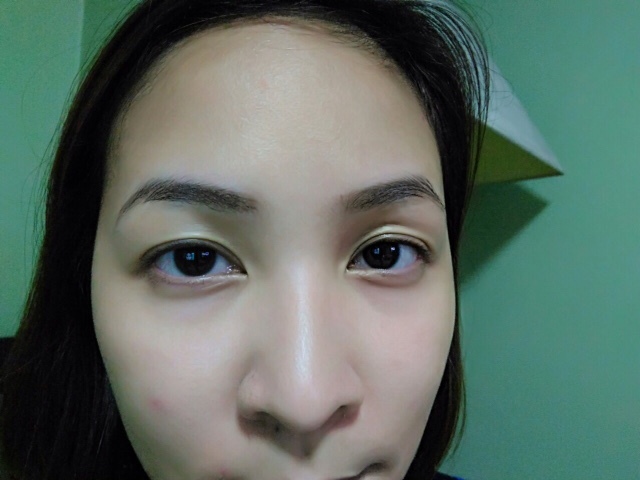 It's quite pricey to spend on a brow mascara for more than PhP1,000. I totally agree on that part. What makes this Lash Em brow product worth it though is that it is not your normal brow mascara. As mentioned, it is infused with lash enhancing serum which makes your brows thicker in the long run (with or without brow mascara). As a consumer, this product is a total winner for me because it is the answer to my thin, sparse brows. If you must know, I've been secretly a fan of lash serums because I like having longer lashes and thicker brows. 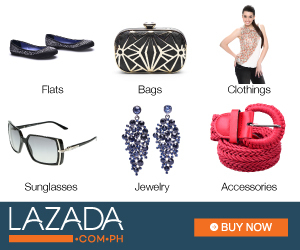 But what sets me back from continued use is its unavailability in Manila. I couldn't hoard much when I am in Japan or US because it might expire on me. Now that we have settled why you should try this brow product, another thing to consider is the absence of side-affects. I never encountered any allergy or harsh reaction from this product. I'm mentioning this because since it has a lash enhancing serum, I kind of expected my brows to have rashes or like have dark lines. 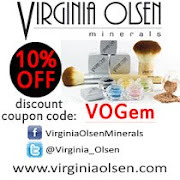 I experienced those with other products that are more expensive. I'm glad I have not encountered those with Lash Em. I totally recommend this product if you have thin brows like me and want to have thicker brows without spending on brow enhancement procedures. 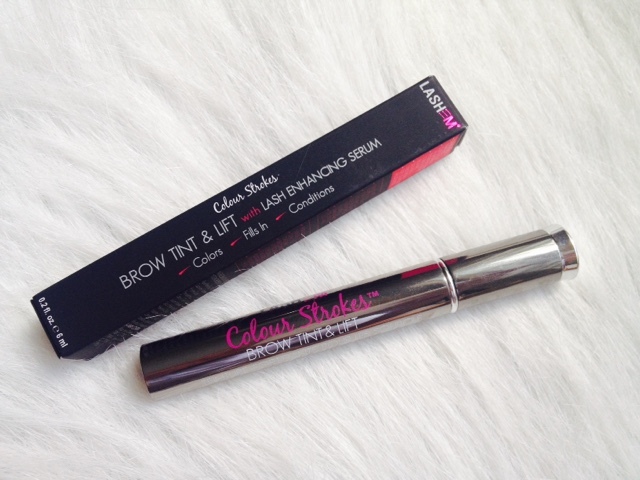 Lash Em Colour Strokes Brow Tint & Lift retails for PhP1,029.75 for 8mL. It is exclusively sold at SM Beauty Store Makati.